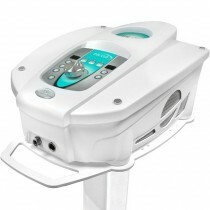 Lymphatic drainage machine is body contouring with a purpose. This machine will make you look good, and feel even better. Lymph drainage massage has been around for decades and is still widely used in general medicine. Lymph drainage machine is much more efficient than manual lymph massage. The treatment is relaxing, safe and highly effective. You can use the machine for body sculpting, skin tightening and lifting, and cellulite reduction. Therapy promotes better blood circulation, removes toxins. It betters looks, it betters health. For sure, it’ll better your profits. The lymphatic system is a system of vessels that is responsible for removing bacteria, body’s excess fluids, viruses and cellular waste. It is a very important system as none of the above-mentioned need to be inside a body. Waste products and excess fluids are cleaned out in between the spaces of the cells. This system cleans and filters all of the waste so we need it to work properly to be healthy and shielded from diseases. Lymphatic drainage massage machine was specifically designed to help the lymph system do its job. As almost 70% of the vessels are located right under the surface of the skin, lymph massage effectively stimulates the system. What are the Main Benefits of the Lymphatic Drainage Machine? Lymphatic drainage machines are amazing equipment with multiple beauty and health benefits. The beauty part of the benefits includes treatment of cellulite, body shaping and redefining. A procedure will sculpt legs, arms and stomach, tone and lift the skin. Another beauty benefit of the lymph drainage massage: slimming and detoxifying. The treatment is usually referred to as a non-surgical liposuction. As for the medical benefits – there are a lot. Just to name a few: lymphatic massage machines are used to improve the immune system and in doing so help fight infections. Lymph machines can reduce inflammation, are used to relieve pain and reduce swelling. Severe swelling after surgery. As mentioned above, severe cases need doctor’s approval. Infection in the lymph vessels also called lymphangitis. If there is a high risk of blood clots as lymph massage can actually mobilize the cloth. These clients can be treated, but they need to be closely monitored by their doctor. Patients with congestive heart failure (CHF). If the pain increases during the massage. How to Choose the Best Lymphatic Drainage Machine? 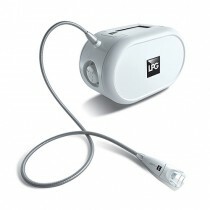 Before purchasing the Lymphatic Drainage Machine, or, any equipment for your practice, research the available products. With professional beauty equipment, you should always pay attention to the brand. The reputation of the brand should be impeccable; brand should be respected, reliable and well known within the industry. Seamless Customer Service should also be a preference when investing in a machine for your business and we are certainly proud to offer you just that. Our user-friendly website has a lot of customer reviews you are welcome to read the reviews and, if needed, seek advice. We would also greatly appreciate your review if you would decide to become a customer and let us help you grow your business. 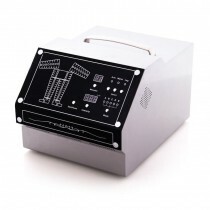 We offer a wide range of Lymphatic Drainage Massage Machines. We have lymphatic drainage machine for home use, stationary and portable machines, amazing Multifunctional machines and systems. A lot of our machines are Pressotherapy machines that offer an exclusive detoxifying treatment to boost the body's natural detoxification properties. This compression system with inflating pumps is computer operated. With detoxification, it sculpts all body parts. If you are looking for providing the most amazing service to your clients and your budget allows a somewhat big investment – we are glad to present multifunctional vacuum slimming machines. With just one investment you can offer, for example, Vacuum Lipo-Massage as well as Anti-cellulite Massage, Radiofrequency, LED Light therapy, Skin tightening therapy and Infrared Therapy. You are also always welcome to come by and check out the machines in our showroom.